Grand Secretary's Office contact information. Schedule of visits and meetings, June 2010 - June 2011. Addresses, meeting days, locator maps. Forms, publications, authorized emblem, etc..
Book of Constitutions, "Six Steps to Initiation", etc.. List of Masonic Grand Jurisdictions. Past issues of our monthly publication in pdf format. A calender of lodge meetings compiled by the VMSB. Text files from our Information Kit, printed copies of which are available through the Grand Secretarys Office. 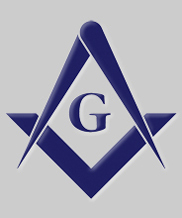 Information on resources available to promote Freemasonry in this jurisdiction. A policy statement regarding the discussion of masonic business on the internet. Drivers and dispatchers are always needed to make this programme a success. Volunteer to assist in this worthwhile charitable endeavour. Information and catalogue of books. Other articles are available through the search engine.